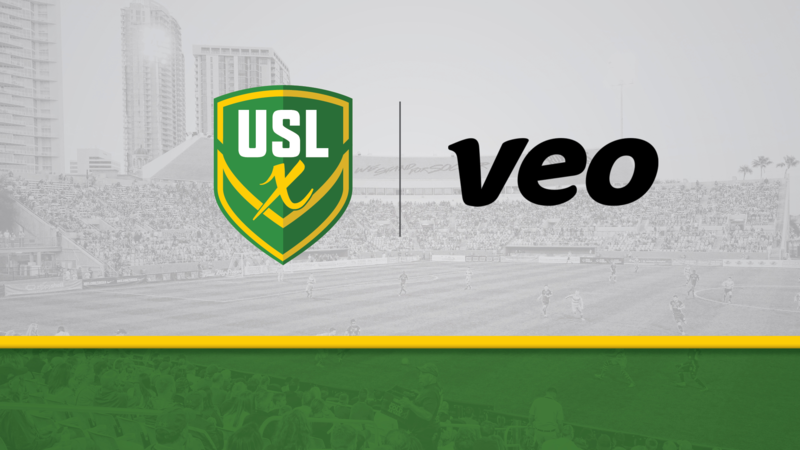 TAMPA, Fla. - Ahead of the 2019 USL Experience, Super Y League has announced that it will be using the video services of Veo for its fourth event in Tampa, Florida, which begins on Thursday, April 11. USLX will host 65 of the top U-13 through U-16 players from across the United States and Canada for a three-day event with the assistance of USL Championship side Tampa Bay Rowdies. Veo will provide its video service, which enables users to record soccer matches without a cameraman. The 180-degree camera captures the entire field, and the powerful AI technology detects the ball, while automatically creating a fully-edited video that anyone can watch and analyze directly on the Veo platform. “We are constantly seeking to improve the professionalism of the USL Experience, and Veo will do that for us this year,” Super Y League Vice President Joel Nash said. ”Their camera and software are easy to use and yet provide comprehensive analysis. Users can begin using Veo by connecting a device to the camera, attaching the camera to a tripod and pressing record. After the match is completed, connect the camera to the internet and it will automatically begin uploading to your team’s Veo account. By capturing the entire field, Veo will provide the opportuntiy for USLX coaches to help focus on and analyze an individual player while having a tactical overview of the team’s positioning in all areas of the field. On the Veo platform, clubs can create player profiles, full-game or individuals highlights and tag players with comments from coaches. Head to veo.co to learn more about Veo's services & technology.